Competition Day! Each team should create their own games and will be judged by other teams. Every team has to bring the best of its members and then pick one or several codes to be in competition. They have 2 hours to develop codes, and then after that they have to stop and start examining other teams’ work to give objective and fair judgement. 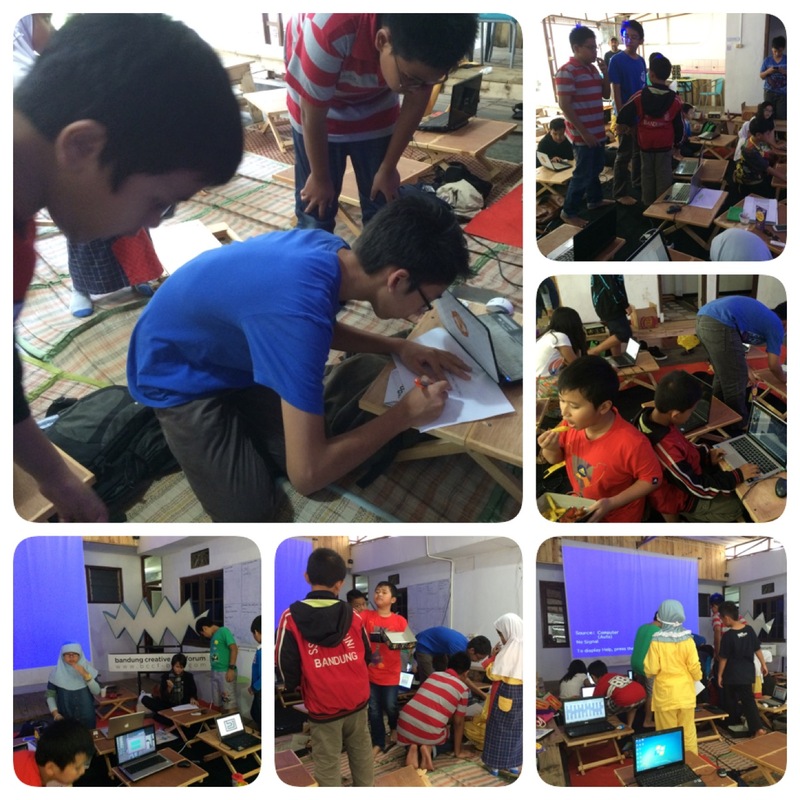 ProCodeCG applies different method for its kids classes including this camp: kids should be thought by kids. So the purpose of ProCodeCG kids classes is to teach kids to learn and also to teach. Because the best way to learn is by teaching. Kids who has passed one level are expected to be able to teach kids on lower levels. This way kids will develop the skill of fast learning and how to pass the knowledge to other people (especially kids).